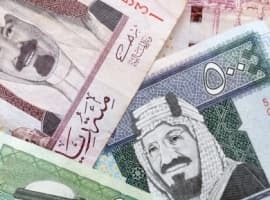 It’s hard to come up with a real breakeven point for Saudi oil, for example, because it is responsible for funding the royal palace and indirectly, a large number of social programs that include everything from education to housing and energy subsidies. It’s hard to measure costs when this oil has to pay for all the luxuries of the Saudi royal family. According to Quartz, if you add in all these costs that U.S. shale producers don’t have, we’re looking at a breakeven point of around $86 per barrel for Saudi oil. That’s just one opinion, but it’s a poignant one. So is the royal family ready to give up its luxuries? Or will they sacrifice things such as healthcare and education first? The fact that the government is considering taking parts of Saudi Aramco public does not bode well. The Iranian perspective, newly off sanctions, is entirely different. It’s probably more concerned about regaining the market share it lost under sanctions than it is about low prices. 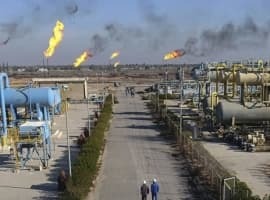 In June, Iran will launch a new grade of heavy crude that will compete with Basra crude, and which the Iranians will surely seek to undercut in price in order to win Asian market share from Iraq and the Saudis. For Nigeria, Libya and Iraq, the breakeven point is the point at which they can fund the fight against Boko Haram, a civil war and the Islamic State, respectively. Right now, they can’t. And that’s with per barrel production costs of around $31/$32 in Nigeria, $23/$24 in Libya, and $10/$11 in Iraq. The average production costs for the U.S. is about $36 per barrel, but Rystad Energy estimates that some the key U.S. shale plays have a $58-per-barrel breakeven point. This, too, varies section by section, and even well by well, so it’s hard to get a concrete picture. Plenty of shale areas are still profitable even with oil below $30, according to Bloomberg Intelligence—just ask Texas, where the Eagle Ford shale play’s Dewitt County patch, for instance, can turn a profit even with crude below $23. Other counties, though, might need $58 to be profitable. It’s all about hedging right now for U.S. shale producers. The larger percentage of oil output that's protected by hedging, the longer the lifeline. Everyone is hurting, some more than others. Venezuela is already on its knees. But even $30 oil isn’t enough to bring the other bigger players down or to end the cold oil war. Saudi Arabia has some $600 billion in financial reserves; Russia is worried enough only to start talking to OPEC; U.S. producers are holding strong and are fairly calm, closely measuring the pace of desperation most recently indicated in the word game over an output freeze. The variables of the breakeven game favor U.S. shale. But Saudi Arabia won’t give up the cold war path easily because its ultimate goal is to preserve its market share at all costs. 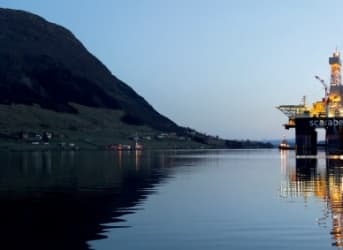 Is This The Best Moment To Get Into Oil? Nice article and data reporting. Keep up the good work. Apparently, the future price of oil is high enough that oil is worth holding in storage for years. If the breakeven price for oil storage is higher than the breakeven price for shutting in production, then we may never see capitulation. So the hope of higher oil prices is what locks players into perpetual oversupply. Future prices need to fall before capitulation happens. Excellent report! Thank you for the good work. When SA and Russia cease to exist, that's when there will be everlasting peace and harmony in the world. You know, I had my doubts about Obama on how to solve rouge nations ambitions and support of terrorism. But I have to hand it to him. He is using the simplest solution that no one before him has tried. Just take away the money, and rouge nations like Russia and SA and indirectly ISIS, cannot fund their fun and games anymore. All this without a major war with American boots involved. Absolutely brilliant! But...but...but...I thought we were about to hit peak oil? Iran will have a new grade of heavy crude for those nation states whose refineries can handle it and whose populations don't object to being choked by the fumes. Sour oil will be pegged at 60% of light sweet oil because of the social costs. Even if WTI rises to $50 per barrel, Iran's crud can draw no more tan $30 per barrel. Russia might say it paid $50 per barrel as part of a weapons for oil swap, but who would believe them? Saudi Arabia is not trying to 'maintain' market share. It is expressly trying to break as many producers as it can and build market share. It has launched an economic war to cripple our energy complex. Unacceptable. Great article and analysis. At the end of the day the Saudis are not targeting any specific country, they are targeting the weak links in the industry. The price of oil grew so much over the past 5 years that new entrants came into the market. New technology was being designed, and new ventures started. In the long-term, innovation in the industry hurts Saudi. They already have cheap labor and wealth, they don't want to see innovation or something that can take away their market share. This is a "spring cleaning", if you will, of the weaker competition that relies on higher oil prices to survive. I think the Saudis have been planning this tactic for a while, and as luck would have it, have built up a massive financial backing to cover the costs of going from cash cow to loss leader. Give it 6 months and you'll start to see a few dominoes fall. The question now is "how many bankruptcies are needed before the Saudis are happy?". Iran goal is definitely to gain market shares. 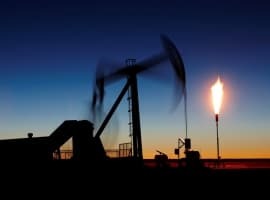 "Plenty of shale areas are still profitable even with oil below $30, according to Bloomberg Intelligence—just ask Texas, where the Eagle Ford shale play’s Dewitt County patch, for instance, can turn a profit even with crude below $23. Other counties, though, might need $58 to be profitable." Ron Patterson should read your articles. This is great. With electric cars taking off in the next few years by the time prices start to recover demand for oil in the US will start to taper off. US will be completely self sufficient for oil for the next two decades until most of the consumer fleet gradually switches to electric cars. I did not like this article. It made my stomach hurt. All Oil producers want to maximize profits. What they do with their profits is secondary and irrelevant. But wait, I really really want more money for my luxurious lifestyle. Hmmm... you are still going to try to maximize profits, right? The break even point for Saudi oil is, is very very low. The long term strategic approach to pricing oil, is an Operations Research/Optimization problem. The ultimate goal is this: What will there total profits be in say 10 years given various strategies. THAT is what they are going to do. Period. Saudi Arabia and Russia want it bad...even more so now given the current price of oil per barrel. Any cut in production would equate to a cut in revenue. Neither are going to budge. Why should they? Even if they did. Now Iran, Iraq, Libya etc...would all increase production. In the end the cut would = Moot. Enjoy the real price of oil. It has been over-priced for far to long. So, if the Saudis are pumping the current 2 million bopd (12 million a day) over-supply at $30/bbl, it is receiving $360 million a day? And if it cut the 2 million bopd over-supply and the price went to $60/bbl, then it would be getting 10 million a day X $60 or $600 million a day. If the price went to $100/bbl, then it would be getting $1 billion a day. Everything Saudi Arabia is saying is a bunch of garbage. It may want market share, but its losing a couple of hundred million a day to achieve it, and that doesn't make any sense at all. It would be better if the Saudis cut 3 million a day just to see what the price would do. The Saudis will continue to lose market share or they will very substantially lose revenues. American shale operators are simply going to have to learn to drill wells with a lot less debt than they have been carrying. I vote to sink about 50 supertankers in the Straits of Hormuz, and let's see what happens to the price of oil and American shale producers. A lot of good political tactical thinking, but a superficial and in effect faulty analysis. 2 Looking at break-even levels you have to distinguish between a) investment break-even, i.e. all-in costs prior to a financial decision and b) operational break-even, once you have invested into the sites/region/well(s). 4 The picture is not that clear because there are costs of shutting down operations (short/medium/long term) which mean that producres may decide not to stop producing below break-even, because they hope to avoid operational losses "soon"
IMHO The above is sufficient to explain, why we see what we see. I think the fact that everyone is pumping oil like there is no tomorrow, should tell us that these producers know something that we don't. Most likely, they have inside info that a new technology will make their fossil fuels obsolete like room temperature fusion. I'd put even money on that. Excellent article. I'm a longtime petroleum geologist: my cost is about $30/bbl and having no debt I can survive. This whole situation is supply/demand. The Saudis are doing just what we would, produce oil; you can't sell sand. My great grandchildren will be asking "Daddy, you say great grandpa was a petroleum geologist...what the heck is that?" Kinda like the buggy whip makers.